KEEP ON TRUCKIN.’ Local blues legend Howard “Guitar” Luedtke has released Meet Me in Muscle Shoals. 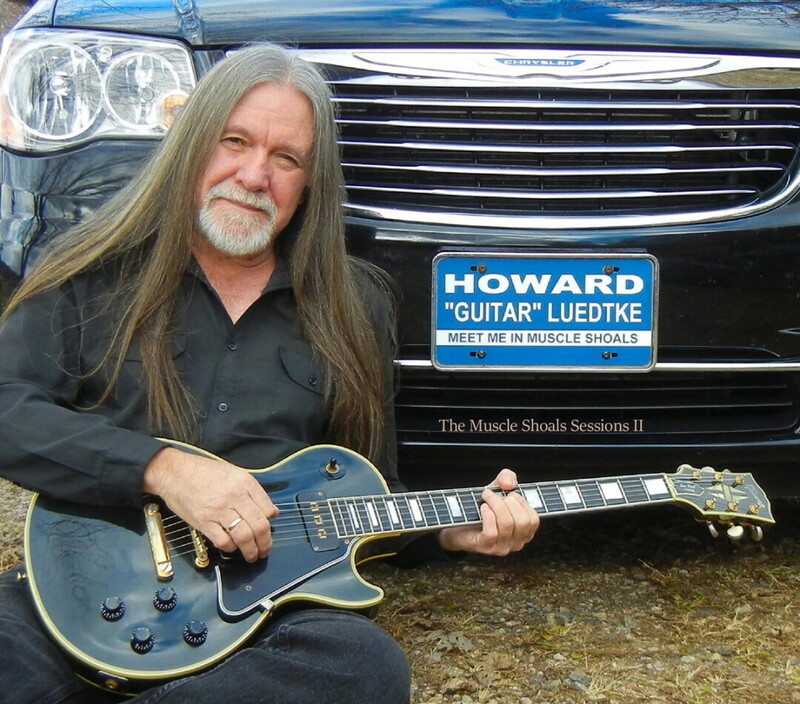 Howard “Guitar” Luedtke has been a part of the blues scene for more than 40 years, both in the Midwest and internationally. He released his first album in 1992 and altogether has recorded six. He plays solo, as a duo with his wife, Deb, or as a full band with Blue Max. He released his most recent album, Meet Me in Muscle Shoals: The Muscle Shoals Session II, in early 2019. When talking with Howard about his new album, he explained it as part two of his album, Goin’ Down to Alabama: The Muscle Shoals Sessions. What’s truly special about this album is that it was produced by a personal hero of Howard’s, a man named Travis Wammack. One day in 1965, Howard and Ray went to see a friend named Ricky. That was the first time that either of them had seen a real Fender guitar. Ricky introduced Howard and Ray to a record that he wanted the young men to listen to for a couple of weeks while they were learning their way with the guitar. The album had two instrumentals – “Fire Fly” and “Scratchy” – by a “large black man named Travis Wammack,” Ricky said. “He plays a Strat and you’ve never heard anything like it.” Ricky put the album on, and Howard and Ray were hooked. They listened to it over and over again and banged on their guitars for hours to try to sound like Travis Wammack. Howard kept the record for six months, with every intention of returning it, but somehow it got lost. You can’t talk to Howard without talking about Travis Wammack. His voice was filled with disbelief and delight about finding the legend for whom he had looked so long and making music with him. For the next few months Howard will be traveling around playing local shows. You can see Howard “Guitar” Luedtke and the Blue Max band at the Northwoods Blues Festival at Riverfront Park in Chippewa Falls on June 21. They will be on stage at 1:30pm. For a schedule of shows or more information about Luedtke, check out howardluedtke.com. For more information about the Northwoods Blues Festival, go to northwoodsbluesfest.com.